Investing.com – The dollar extended losses against its major rivals on Thursday, plumbing three-week lows after the Federal Reserve dialed back its predictions of future rate hikes this year, amid increasing uncertainty over the global economic outlook. The Fed left interest rates on hold at the conclusion of its meeting on Wednesday and said it would be “patient” before making any further rate hikes, dropping its guidance that ‘further gradual’ rate rises will be needed. The U.S. dollar index, a gauge of its value versus six major peers, was down 0.13% to 94.91 by 03:37 AM ET (08:37 GMT), close to a three-week low after falling 0.5% on Wednesday. 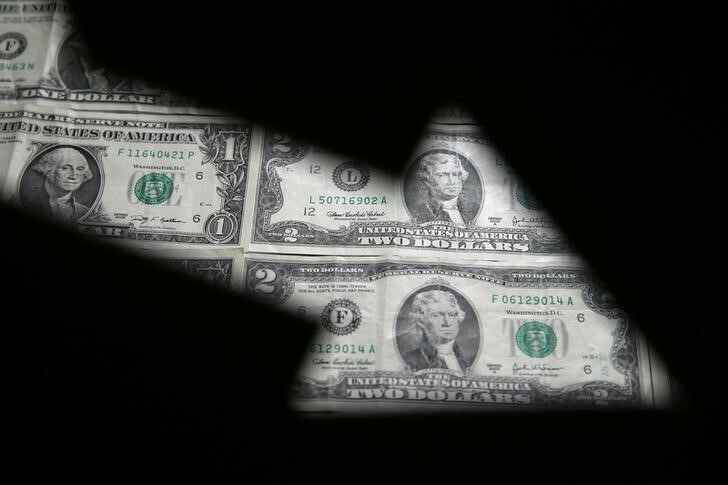 The greenback had been on the back foot even before the Fed’s dovish signal, with policymakers in recent weeks signaling that a cautious approach would be taken after the U.S. central bank hiked rates four times in 2018. Not surprisingly analysts are bearish on the dollar, which outperformed last year thanks to the rate hikes and a robust U.S. economy, as the U.S. – China trade war and rising pressure on global growth threaten to hit the U.S. economy. Global markets have been rattled by a slew of weaker than expected growth data out of China and Europe over recent weeks, and the International Monetary Fund downgraded its outlook for global growth last week. The dollar was weaker against the yen, with USD/JPY losing 0.31% to trade at 108.66. The euro pushed higher, with EUR/USD advancing 0.23% to 1.1504 as the dovish Fed offset concerns over slowing growth in the euro area. The pound was also stronger against the U.S. currency, with GBP/USD up 0.21% to 1.3142 but gains looked likely to be held in check amid ongoing uncertainty over Britain’s plans to avoid a no-deal Brexit. Sterling was little changed against the euro, with EUR/GBP holding at 0.8746. The Australian dollar was higher, with AUD/USD rising 0.34% to 0.7268 after rallying 1.36% on Wednesday.